Breaking Bad has been off the air since September 2013, but its legacy and place in pop culture remains securely in place. 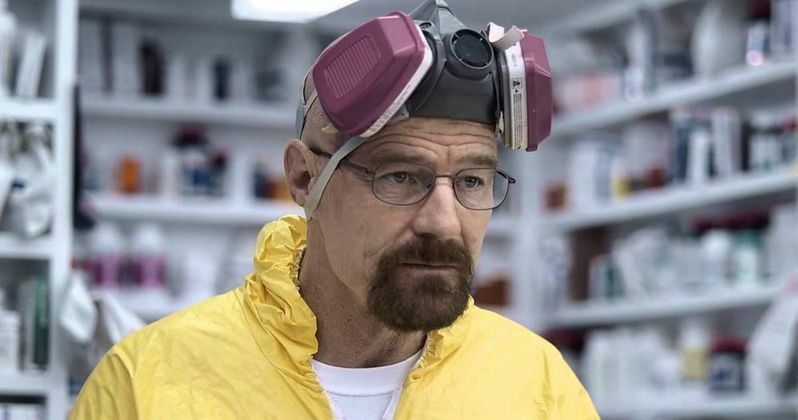 During Super Bowl XLIX today on NBC, Bryan Cranston made his glorious return as drug kingpin Walter White in a new commercial for Esurance, which offers a few references to the hit series, such as Walter White's Pontiac Aztec and his infamous "Say My Name" line. In case you missed the spot during the big game, we have the extended TV spot below. Bryan Cranston played Walter White, who transformed from cancer-stricken chemistry teacher to a ruthless drug kingpin, for five seasons on AMC's Breaking Bad. He won four Emmy awards for his portrayal of Walter White during the show's run from 2008 to 2013. AMC will debut the spinoff series Better Call Saul on Sunday, February 8, which focuses on Walter's attorney, Saul Goodman (Bob Odenkirk), set several years before he ever met Walter. There was talk of both Bryan Cranston and Aaron Paul returning for cameos in the series, but it was confirmed last week that neither actor will show up in the first season. However, Walt, Jesse and several other Breaking Bad may be popping up if future seasons are ordered. So, until Walter White eventually surfaces on Breaking Bad, you can take a look at this Esurance commercial to see Bryan Cranston's Walter White one more time. Do you think more advertisers should use this iconic character in their ads? Perhaps Pontiac could feature Walter as he shops for a new car, to replace his beloved Aztec. Chime in with your thoughts below.